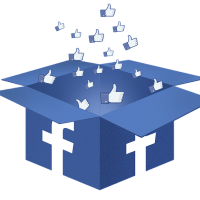 Did you know you can verify your Facebook page? And did you know that verifying your Facebook page helps to get your posts in front more people? Sounds like a good thing to do and it’s not that difficult at all! Helpfully Facebook tells you if you page is or isn’t verified! Do what Facebook tells you! If you want to verify your page with documents, then click on that option and follow the instructions to upload official paperwork. It takes a bit longer than the phone method but it may suit you better.